Petit chicken dumplings with slow-cooked Sichuan sauce. Thursday marks the first day of the Chinese Lunar New Year, a meaningful family holiday celebrated with symbolic foods. 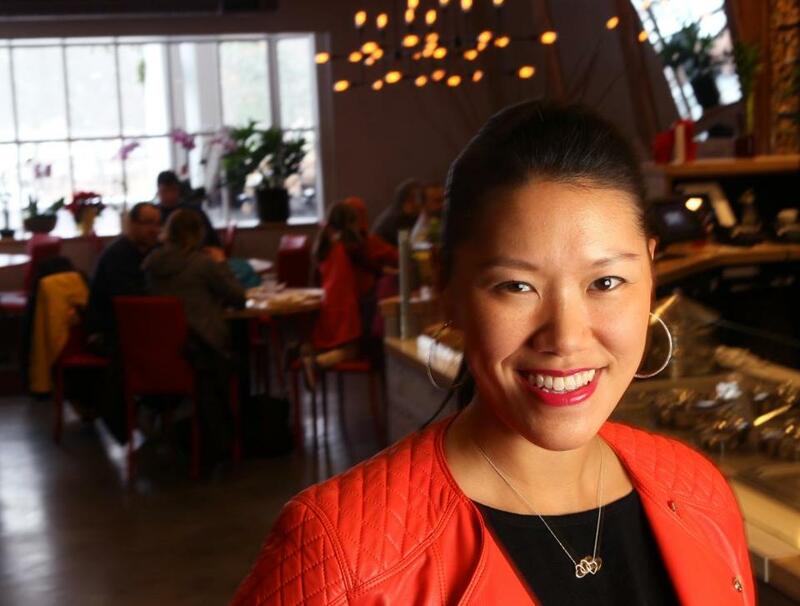 Nadia Liu Spellman, owner of Dumpling Daughter in Weston, offers a primer on ushering in the Year of the Sheep. “The most important thing is for families to be together,” she says. Once they have gathered, “the first thing they should do is eat dumplings.” The dumplings, she explains, resemble gold nuggets. “My mom would often make them on the last day of the year. 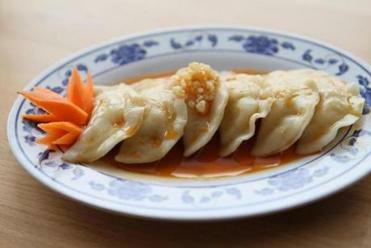 My sisters and I would be really excited that we could eat dumplings for breakfast.” Spellman is the daughter of Sally Ling, longtime Boston and Newton restaurateur who ran Sally Ling’s, next to Jasper’s on the Waterfront, with her husband, Edward Nan Liu. At Dumpling Daughter, Spellman will be serving a version of the cakes, stir-fried with chicken, Napa cabbage, and shiitakes. The 32-seat restaurant, in a shopping area in Weston Center, will also feature eight treasure soup (with winter melon, chicken, shiitakes, smoked ham, peas, carrots, shrimp, and scallops), which represents bounty, and, of course, the lucky number eight. Spellman is also serving red bean pastries, handmade by Sao Shan, the pastry chef who worked for Sally Ling’s for more than 30 years. “Their round shape represents continuity,” says Spellman.